Cologne Fitness Center – Cologne, Minnesota | A great place to Live, Work and Grow! How is your physical fitness barometer? As we strive for a high quality of life, physical fitness is a significant part of that equation! The better you feel the more you are able to be out enjoying all that life has to offer! The Cologne Fitness Center was designed to be flexible, affordable, comprehensive and easy to use to help you regain or maintain a healthy and fit lifestyle. 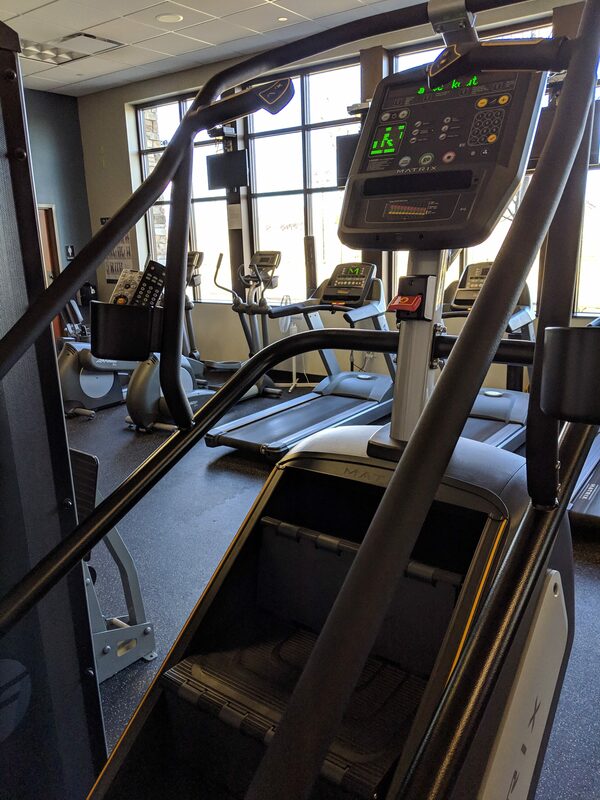 The center has top of the line fitness equipment from Life Fitness including 9 cardiovascular machines to help build up your cardiovascular strength – 3 treadmills, 4 cross trainers, a recumbent bike and an upright bike. In addition to the cardiovascular equipment there are nine separate Life Fitness weight stations to work all your major muscle groups. Stop in at the city office to register for your 24 hour access membership. Click here to download the CFC Membership Agreement. *Price excludes tax and initial signup fee of $20.00 (additional members on same plan: $10.00/ea).